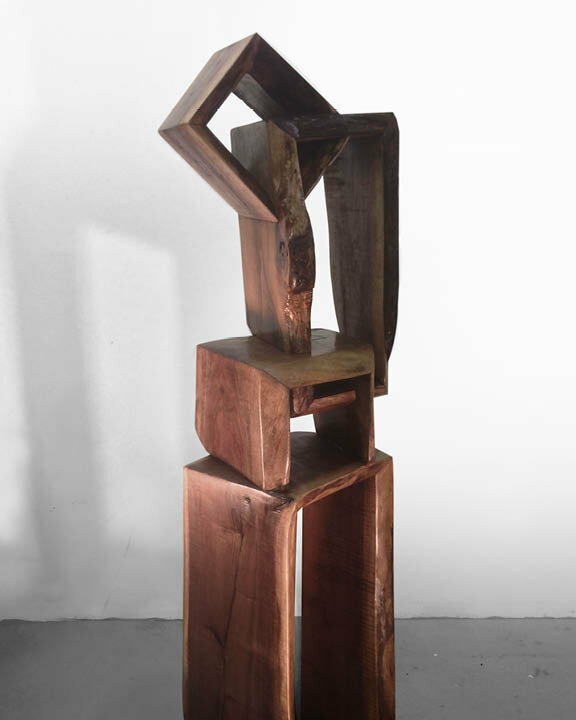 Paul Kruger was born in 1980 and raised in New York City. As a child, he would play along the Hudson River, making swords and walking sticks out of the washed-up driftwood. He studied at the specialized fine art high school LaGuardia, The Arts students league and later earned his BFA at The School of Visual Arts (SVA) in lower Manhattan. In 2008, he began to revisit the path along the Hudson River, now seeing seas of industrial man-made NYC driftwood left for waste. He became enthralled with the possibilities of where the pieces came from, what they were in their passed lives, and what he could transform them into. He began recycling the driftwood into sculptures. As he fine-tuned his craft, in 2012, he took on bigger projects, using wood from fallen trees across the nation. He paired the natural wood with industrial steel bases, and created the design company “Fallen Industry” furniture made from fallen trees. His work has been featured on NY1 News, Daily News, Crain’s Business and NY Magazine to name a few. Today, Kruger uses all the skills, techniques and resources he’s gained to create incredible sculptures and one of a kind functional art pieces. Pairing traditional joinery with natural, contemporary forms. 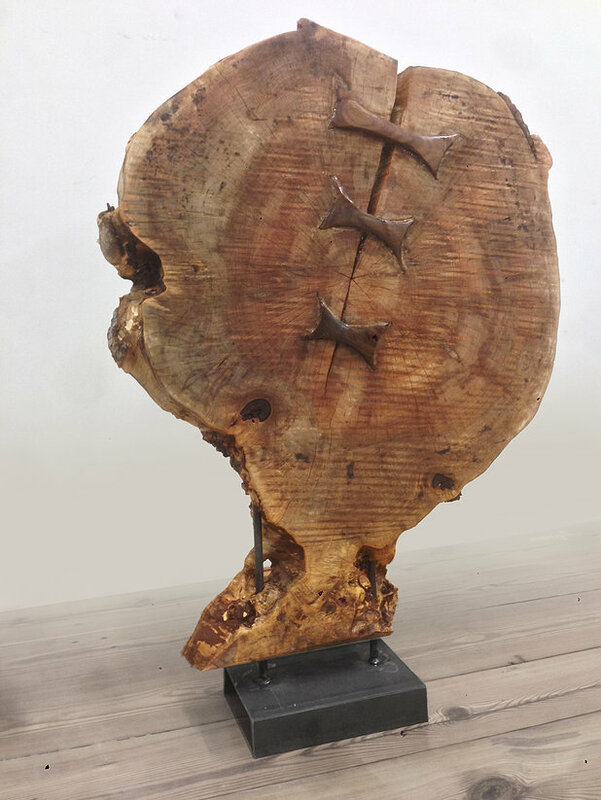 From childhood swords to organically shaped sculptures, Paul Kruger’s work come from seeing new purpose and beauty in what would otherwise have been discarded or destroyed. Love the concept and the art! "Wooden Waterfall" is wonderful the way it represents a waterfall. But out of the corner of your eye, it looks like a seated figure, sort of like Rodin's "The Thinker".